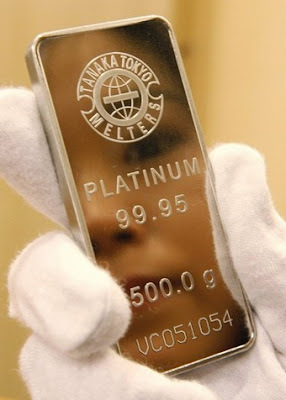 Is White Gold The Same As Platinum? Chow Tai Fook confirmed the takeover of Milus, which had been part of the Peace Mark Group since 2002. The former owner of the brand was placed under provisional liquidation of bankruptcy in Sept 2008. Milus said "Backed by its new investor, it can strengthen its brand positioning and its retail presence in core markets". Its statement said "The company is honored to become a member of this remarkable group, [and] will put all its efforts toward strong and successful growth". 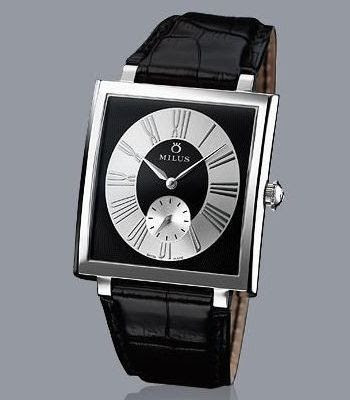 Founded in 1919, Milus has always been firmly based in the cradle of watch making in Biel-Bienne, Switzerland. It achieved an artistic way to measure the moment and represents beautifully the outstanding Swiss watchmaking skill of mechanical finesse, graceful movement and exclusivity. 白金或鉑金都是 Platinum. 相反 White Gold 是 "K 白金" 或 "白K 金". Platinum 學名為"鉑", 化學元素符號為 "Pt". 白金首飾一般都會打上 "Pt" 字樣, 例如 "Pt900", 表示這件首飾是用千分之九百的純白金製造. 常見的純白金有 "Pt950, Pt900, Pt850" 等分別. 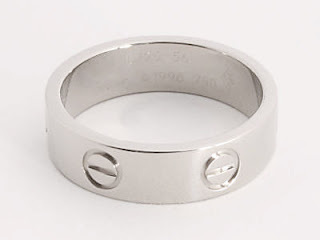 White gold is an alloy of gold and some white metals such as silver and palladium. White gold can be 18kt, 14kt, 9kt or any karat. The natural color of White Gold is actually light grey. With Rhodium plating, White Gold will look more white than it should be. The color difference between Platinum and Rhodium plated White Gold is not noticeable. However, Rhodium does wear away eventually. Therefore, re-Rhodium plating is needed for White Gold by about every 12 to 18 months. K 白金, 或稱 白K 金, 是黃金與其他金屬的合金. 因加入其他金屬的比例不同, 使其顏色像是純白金.但其價格比純白金便宜許多. K 代表黃金的純度, 如 14K 白金 和 18K 白金. 市場以 14K白金較為流行. In general, a platinum ring will be approximately twice the price of an 18kt White Gold ring. Pure Yellow Gold (fine gold) is softer than pure silver, but harder than tin. 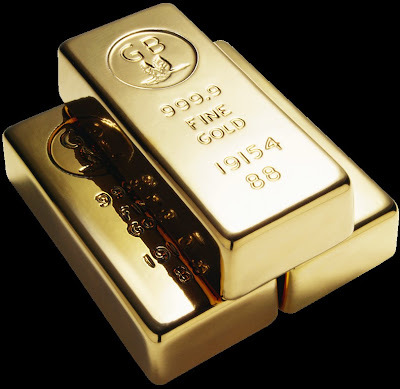 Its beauty and luster are unmatched by any alloyed gold (pure gold mixed with other metals). The extreme malleability, ductility, and softness of pure gold make it practically useless for jewelry applications. It is just too soft! The addition of alloying elements (other metals) to gold are used to increase the toughness and hardness of the metal. 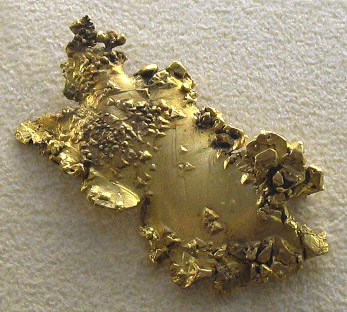 While almost any metal can be alloyed (melted) with gold, only certain metals will not dramatically change the color or make the metal brittle. 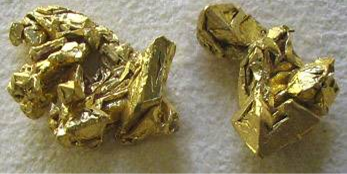 The addition of the metal like Indium (great as an alloy with Platinum), for instance, turns gold into a purple color and gives resulting gold the workability of glass. Any pressure and it shatters. 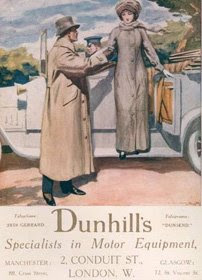 The long association with automobile, which was dating back to the days when the first horseless carriages appeared, made car-themed designs become the key element of all A. Dunhill watches. 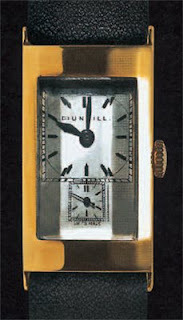 Established in 1893, Alfred Dunhill began manufacturing timepieces in 1903. At the time, gentlemen had no time in checking on his pocket during driving. So, Alfred had came up an idea in fitting a pocket watch into the sturdy dashboard-mounted brass case. 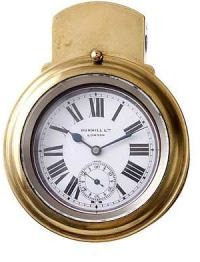 The case was teardrop shaped and had a hinged porthole cover which allowed the watch to be removed at the end of the journey. Later, Rolls Royce turned to Alfred to produce the perfect interior lamp for their automobile in early 1900's. 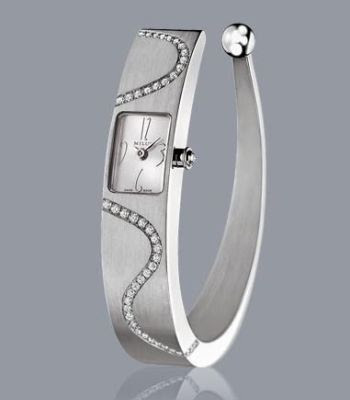 Later, his decedents carried the crystal of the interior lamp over into watches, and created the first facet-shaped watch in 1936. The unusual faceted crystal made the timepiece unmistakably recognizable, and it had become the signature of A. Dunhill watches. 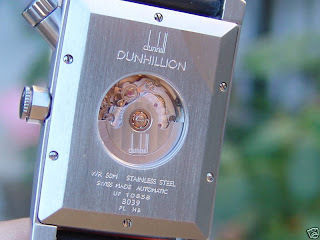 In SIHH 2002, the Dunhillion collection was introduced. 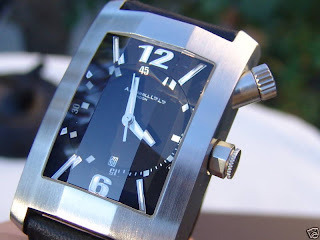 It illustrated the latest interpretation of A. Dunhill's signature facet wristwatch. 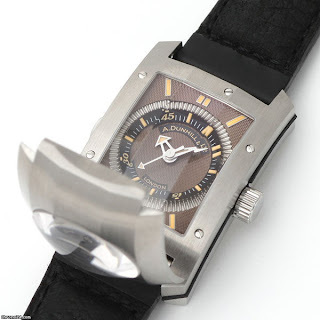 With a unique three-layer dial construction and a functional diving counter that is operated by a crown at 2 o’clock, the Dunhillion Automatic Citydiver is an oversized timepiece. Crystal skeleton caseback reveals the intricate mechanical movement of the ETA 2621. The Citydiver features a brushed steel case which is fitted with a rubberized leather bracelet and is water-resistant to 50 meters. It is a dynamic, yet masculine choice of taste. 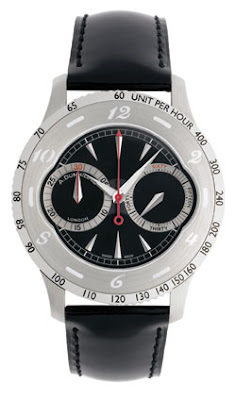 In SIHH 2004, Bobby Finder, CityTamer, and CityFighter were introduced.